Tactical and military watches are not just reserved for military personnel. 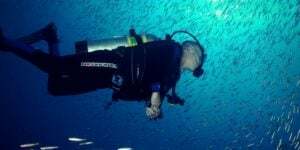 They have become increasingly popular with extreme sportsmen, security personnel, outdoor survivalists, and anyone else who embraces the elements and nature. These tactical watches are designed to withstand nature’s unforgiving elements, withstand the constant barrage of knocks and bangs, while keeping perfectly accurate time. Deciding what type of military watch you need will completely depend on what features you need. While they all should be robust and shock resistant, different watches will have different levels of water and pressure tolerance. On top of that, whether you decide to choose a digital or analog, will also open up a different set of customization options. 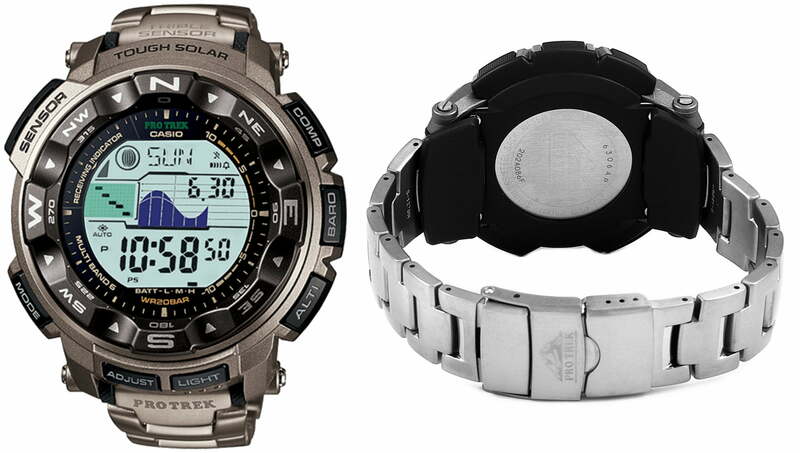 It’s important to remember that cheap, plastic watches are not suitable for tactical and military purposes. These cheaper watches will not be as durable or have the range of accuracy that will be required of it. If you’re looking into owning a tactical watch, then it’s likely that you require the precision and durability that they can give you. 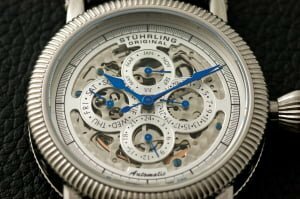 Before we have a look at some of the best military watches for men that are available, we will first look at some of the features that you’re likely to see, as you may be uncertain of their usage. The use of a barometric altimeter is an invaluable tool to hikers and climbers, as it aids them in verifying their location with the use of a topographic map. It’s generally more accurate and reliable than a GPS for measuring altitude, particularly since GPS signals can sometimes be unavailable. However, it’s worth knowing that as barometric pressure changes with the weather, you will need to calibrate your altimeter at locations that you are certain of the altitude, such as marked features on a map. Most digital tactical watches will have this feature, although it’s still possible to find analog watches that have it. Barometers are great tools in tracking air pressure trends. This will aid you in seeing the warning signs of any potential storms so that you can make the necessary precautions beforehand. Some watches will even have storm warning alarms on them, which is especially useful if you haven’t been looking at your barometer recently, or you aren’t comfortable with reading and understanding the information presented to you. Although watch compasses will never be as accurate as a specific made external compass, they are an essential piece of equipment. If the watch has a GPS facility in it, you will be able to load up predetermined locations onto your watch and have it navigate to your required pin point or destination, regardless of visibility. The great thing about having a compass is that if you know that there is a road to your south, for example, there if you do get lost or need assistance, you can easily use your watch to hit that road. 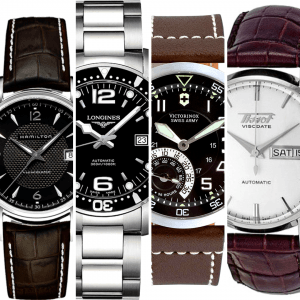 Now that we have looked into the reasons why you may need a watch of this caliber, and the features that they can be equipped with, let’s look at some of the best military watches for men that are currently available. 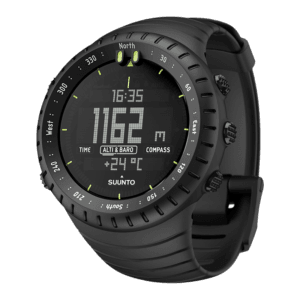 The Suunto Core is one of the most popular tactical watches available on the market and is used by special forces all across the globe. However, what sets this watch apart from other military watches that are in the market, is that the design has incorporated functionality as well as crafting an aesthetic appearance. 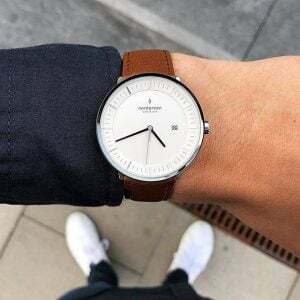 This is the perfect option for the serious outdoorsman, who is also fashion conscious and doesn’t want to pay the prices for the most expensive military watches. The accuracy of this watch’s instruments and sensors are incredibly high. One of the most important features is that the barometer includes an intelligent storm alarm, which will alert you three hours ahead of any potential storms, which will allow you to make the necessary preparations. The altimeter can display your altitude up to 30,000 feet as well as track your ascent and descent. This data is all recorded to be able to be used later on, at your leisure. 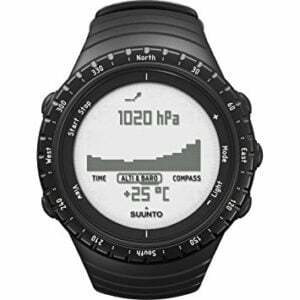 Suunto is one of the leaders in tactical watch technology, and this model is one of their finest achievements. 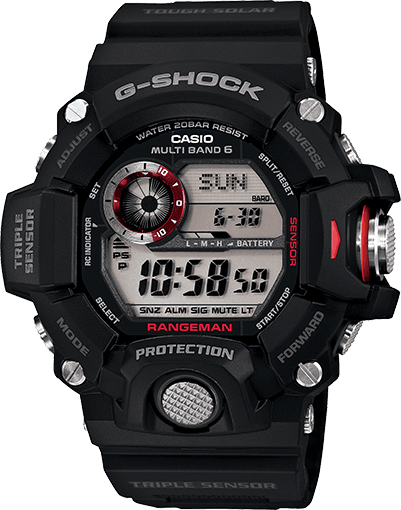 You may be familiar with Casio’s G-shock range is a relatively budget and mid-range watch. However, the GW-9400-1CR, is of premium quality, regardless of it looking like it’s cheaper relatives. This watch, like all in the G-shock series, has been designed with durability in mind. It has an astonishing ten year battery life, guaranteed 10 m fall durability, over 650 feet of water resistance, this tank of a watch can cope with the most extreme of conditions. The resin case is marketed as scratch resistant, as well as the LCD being damage proof due to a crystal protective window. Not only does this watch feature every major instrument and sensor that the average outdoorsman could need, this model incorporates Casio’s new timekeeping technology. This enables it to receive radio waves from transmission stations all around the world, which will ensure that your watch’s time is always accurate to the millisecond. 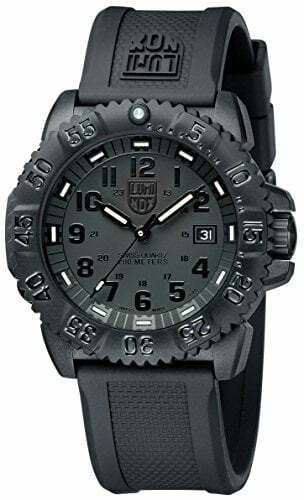 This is another very attractive watch for outdoors men and military personnel. What it lacks in subtle design, it makes up for it with incredibly accurate data and robustness. Here we have a watch that has been specifically designed to be used for the Navy Seals. With special operations, military operatives have to operate under strict criterias, one of which is limited light. This watch will illuminate itself just enough for you to be able to accurately read the time, but not so much that it will make you a visible target. The case is created with reinforced polymer and has a black rubber strap. The black bezel and dials allow this watch to effortlessly blend into the darkness when using it at night. This watch is incredibly lightweight and is perfect for those who just need a durable watch to tell the time at night with, without all of the additional fancy sensors and features, that the majority of other military watches have. It’s also water resistant to 660 feet. If you require an effective and durable analog watch, then you can’t go far wrong with the Luminox Evo Navy Seal Blackout. 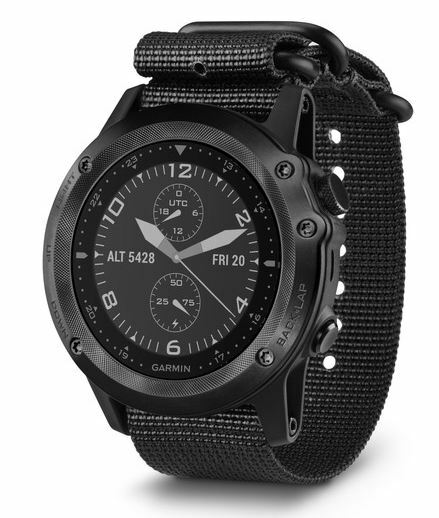 The PRW-2500T-7CR Pro Trek is one of the most technologically advanced tactical watches that is currently available. It has gained increased popularity due to the range of complex features it has, such as geology, meteorology and geographical mapping. A team of meteorologists oversaw the production of this watch initially, to ensure the quality and accuracy of its readings. Although not specifically designed for military operatives in mind, this watch is still robust enough to withstand the elements and conditions that it may be required to be in. This watch is part of the Pro Trek range that Casio has launched, which are all designed to cope with intense excursions. Whether you’re an outdoor enthusiasts or a military professional, it is likely that at some point you will undertake extended expeditions. For such adventures, you will require a watch that will not fail you. 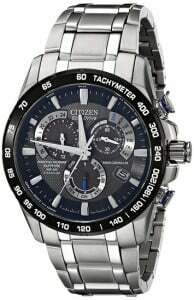 Just like other high-quality Casio watches, this watch has automatic timekeeping technology. It achieves this by receiving calibration radio waves which will allow it to remain perfectly in time by a millisecond. Having an accurate watch is imperative for military situations but is, of course, necessary for many other services and expeditions. The barometer on the PRW-2500T-7CR Pro Trek has an accurate weather forecasting system, which also works as a storm warning system. 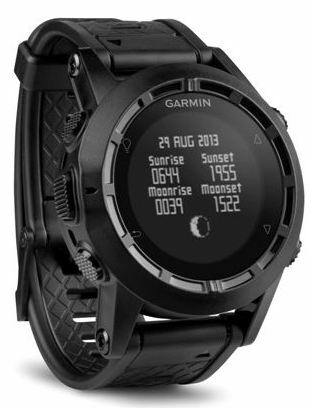 It also features every normal sensor and instrument that you would expect for a watch of this caliber, such as an altimeter, sunrise and sunset information reader, moon phase and tidal data, and a few more. This watch is also solar powered but can remain usable for up to 5 months without being exposed to sunlight. The Garmin Tactix Bravo has been primarily designed for the modern day special forces operator. The screen of this watch has been built specifically for covert operations. It has a sunlight readable color display that is scratch proof, as well as a mode that allows it to be read easier through a pair of night vision goggles. It also comes with a choice of either having a silicone strap, or a nylon one. The GPS facilities on this watch are outstanding. The software called TracBack, that is installed on the watch, allows you to store and mark up to 1000 waypoints. The Jumpmaster features enables you to read accurate information on your jumps, and allows you to select from whether you’re doing a HAHO or HALO jump. While initially this watch sounds almost exclusive for airborne military personnel, it doesn’t mean that is. 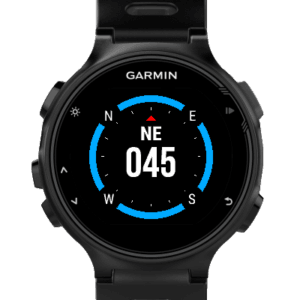 For those that like to track their fitness activities, the Garmin Tactix Bravo also has options that to, and are even better than the Garmin watches that have been specifically designed for running and hiking in mind. In full GPS mode the watch will last for approximately 20 hours, but in regular everyday use, the watch should last up to 2 weeks before needing to be recharged. 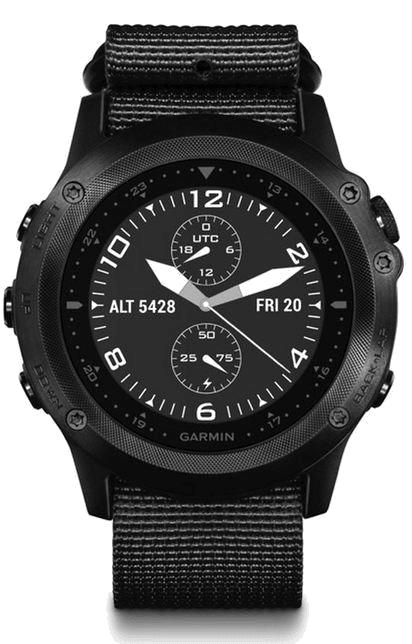 If you’re looking to purchase one of the best watches that money can buy for tactical excursions, then you can’t go wrong with the Garmin Tactix Bravo. 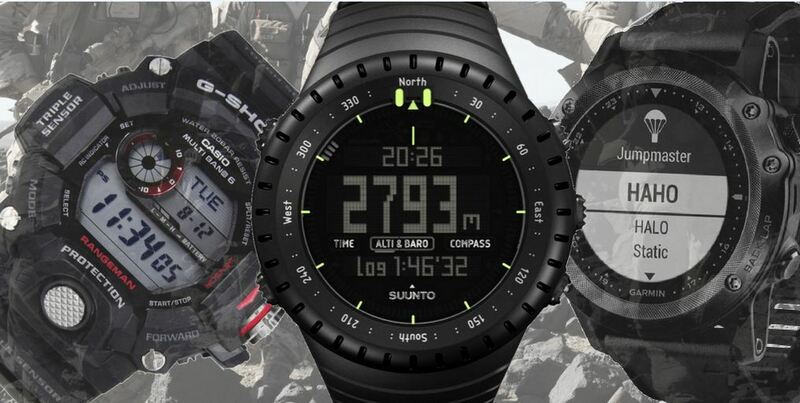 Here we have another Suunto watch, but this time we are looking at the top end of the scale. While specifically designed for hunters and anglers in mind, this watch still hits all of the criterias required for military personnel and tactical operators. 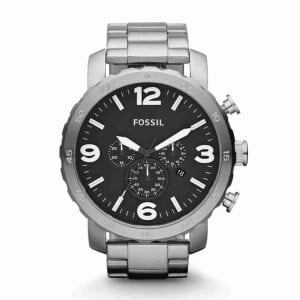 This watch features scratch resistant glass, a stainless steel bezel, as well as a water repellent strap. It’s also been tested under US military conditions, to prove that it’s a robust and rugged piece of equipment. 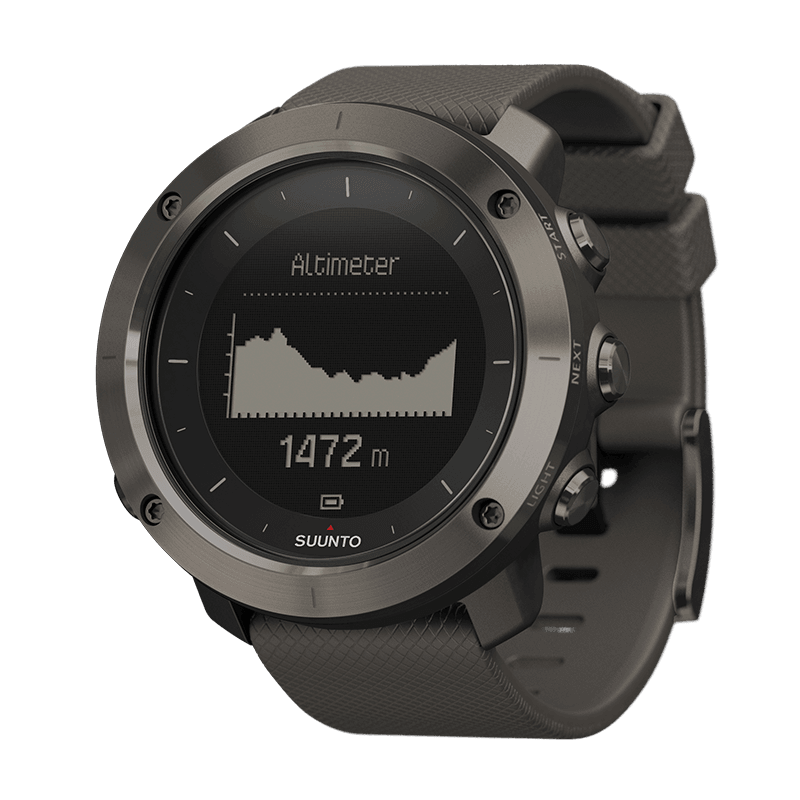 The Suunto Traverse Alpha offers a ton of features that you would expect to see in a watch of this caliber, such as an electronic compass that has tilt compensation, and easy to follow breadcrumb style GPS navigation. You can mark individual points of interest using this watch, as well as record elevation profiles and waypoints. Sunrise and sunset alarms are also a feature found in this product. It also has a red backlight face which allows you to view the watch face at night, without ruining your night vision. Red light is useful for night-time situations as it’s impossible for the naked eye to see the light beams. You will only be able to see the light source and where the light has landed. This is why in the military only red light is permitted to be used in night-time situations if the light is needed. One of the unique features that this watch has is that it can automatically detect and track shots fired. While this has been intended to be used by hunters, it could be an invaluable tool for military personnel. Being able to see the location of your contacts, as well as viewing the amount of shots fired during that contact, could be useful information. As far as I’m aware, no other watch has this facility. What is the best military watch on a budget? With that in mind, that is why we have decided to crown the Suunto Core as the best watch for those that want to get the best value for their money. This is an incredibly easy to use watch, that has a year-long battery, and is waterproof. It has all of the necessary sensors that you could require, like an altimeter, barometer, and compass, although it does not have a GPS facility. The barometer also has storm warning capabilities. 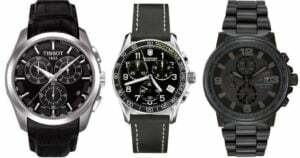 Out of all of the military watches for men that are available, what is best overall? 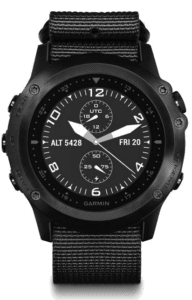 If money is not an issue and you are aiming to buy one watch, that is capable of doing as many different tasks as possible; then the Garmin Tactix Bravo comes out as the winner. For military personnel, avid hunters, and keen adventurers, nothing will be able to outclass the features that this watch presents, without having to buy separates sensors and equipment. Tough situations and harsh environments require you to equip yourself with a watch that you can rely on. When you urgently need to know the time, or even need quick access to a compass if you’ve lost your bearings, then it’s vital that you don’t choose an inaccurate or weak watch. 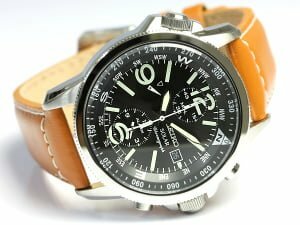 Choosing from some of the best military watches that are available will provide you with the most durable and reliable options. They will all be strong, aesthetically pleasing and will usually come with a lot of useful features. 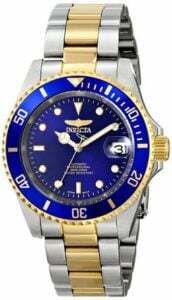 Deciding which watch is best for you entirely depends on your budget and your personal needs. If you know for a fact that you will not need GPS capabilities, then there isn’t much point in purchasing one, as the price differences between those that have GPS capability and those that don’t, are quite significant. At the same time, if you’re someone who plans to be out in the wilderness for long periods of time, then it would make sense that you purchase a watch that not only has useful tools like a barometer and an altimeter but also has a reliable and accurate GPS as well.